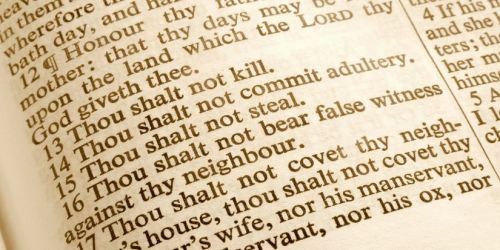 Ten Commandments belong among the most known texts of the Bible. However, it is not so much known that this text, in fact, can not be literary called as commandments. This is suggested both by the context, which speaks of Decalogue as "words" (Ex 20:1) or as "ten words" (Ex 34:28), and the grammar which is not using imperative to express a command. The only grammatically genuine imperative is the fifth commandment: honor your parents (Ex 20:12). Another specific is the instruction of the fourth commandment "remember the sabbath" (Ex 20:8) which is grammatically infinitive. All of the other instances are just indicatives.